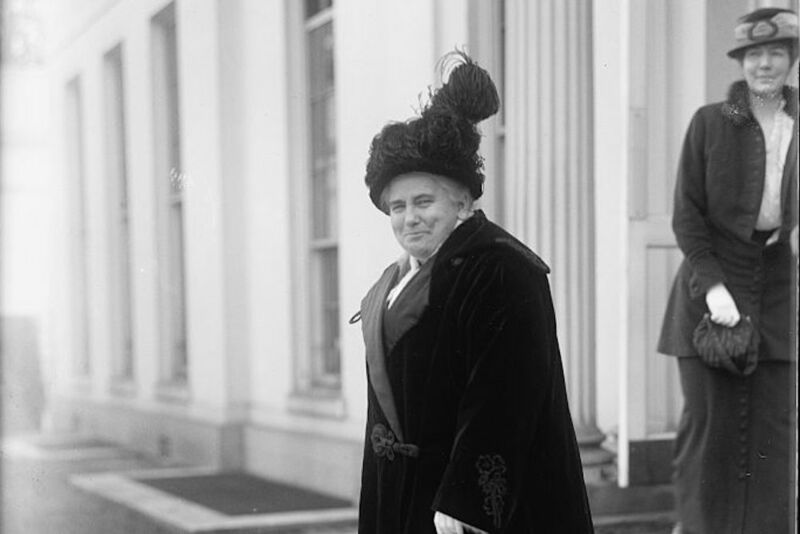 Anna Howard Shaw in Washington, D.C. in 1914. Courtesy of the Harris & Ewing Collection, Library of Congress. That Shaw, who was president of the National American Woman Suffrage Association, had come to a Midwestern state like South Dakota was not unusual; the region had a rich but contentious history with woman suffrage. The familiar narrative of women’s struggle to win the vote places national leaders like Shaw, Susan B. Anthony, and Carrie Chapman Catt on the East Coast, marching in parades in New York City or Washington, D.C. And that narrative defines their fight as a matter of women’s rights, based on calls for liberty and equality. But looking more closely at Shaw’s speech reveals the regional complexity of the movement—which was nationwide, and entangled in complicated local and regional issues that were not purely about justice. Shaw’s riveting address combined the struggle for woman suffrage with a broader debate about immigration in the region that ultimately asked difficult questions about a person’s “fitness” to vote. Midwestern states like South Dakota had large immigrant populations, the majority from Germany, who tended to view woman suffrage with a mix of skepticism and hostility. Often living on farms in isolated ethnic enclaves, some opposed the cause because they espoused conventional gender roles and thought politics too corrupt for women. Others feared that women voters would seek to curtail cherished cultural practices like drinking, and argued that suffragists merely wanted the ballot to institute prohibition. Indeed, many Midwestern suffragists had come to support woman suffrage through the Women’s Christian Temperance Union, or WCTU. These Midwestern suffragists were also often Yankees, either born in the Northeast or to parents from the region—and mostly white, Anglo-Saxon, and Protestant—who saw the ballot as necessary to protect their homes and communities from corruption caused by vices like drunkenness. But by the early 1910s, most Yankee suffragists in the Midwest had begun to distinguish their work in the WCTU from their work for suffrage. State associations elected new leaders with no formal ties to the WCTU, hoping to send a message that their desire to vote had nothing to do with Prohibition. Still, immigrants opposed the cause, and Midwestern suffragists grew increasingly frustrated. They began to disparage their foreign-born neighbors as stubbornly and irrevocably ignorant. “They probably know little of our American ideals,” declared one Iowa suffragist. By 1914, the suffragists’ frustration had turned to outright prejudice—and Shaw expertly tapped into those long-simmering fears. World War I had just erupted in Europe, and while the United States did not join the flight until April 1917, the conflict weighed heavily on the people in her audience. Native-born Americans were suspicious of South Dakota’s large German population, and as Germany invaded Belgium and northern France, many in the state—men and women—had begun to cast Germans as lawless aggressors. At the podium at the Congregational Church, Shaw amended her usual pro-suffrage lecture to unveil a novel argument: that citizenship was a civic responsibility, that the vote was a duty rather than just a right, and that politically-active native-born women were more deserving of the franchise than their ignorant male immigrant neighbors. Shaw began her talk by reviewing some well-worn assumptions about gender and citizenship. During the 19th century, she said, government seemed like “some subtle thing beyond the reach of the inexperienced [woman]”—a mysterious force that citizens, and especially disenfranchised women, only felt distantly. During the early 20th century, however, women had grown close to politics and, as Shaw put it, “should be a part of the government.” Civic virtue had long been a hallmark of Midwestern political culture. Yankees were the first group to settle in large numbers in the region after the Civil War, often donating their land, money, and time to develop infrastructure and public institutions. Later generations, in turn, venerated Yankee pioneers’ activism, which demonstrated what they saw as steadfast resolve in the face of hardship and loneliness. While conventional ideas about gender reinforced distinct roles for the men and women who settled the vast prairies, Midwestern women often transcended these boundaries, stepping in when towns lacked basic municipal services, starting garbage collection services, establishing public parks, and raising funds for public schools. Most of these women were Yankees, and many spoke of themselves as virtuous citizens who sacrificed on behalf of their communities. By 1914, Progressivism, a reform movement that promoted government action and direct democracy, was flourishing throughout the United States, and native-born women in the Midwest heeded its call. For example, in Clay County, Iowa, one group of women focused on “pure food” initiatives to promote sanitary conditions in meat processing facilities and end the sale of adulterated foods by sponsoring a film series and articles in local newspapers. In contrast, Shaw suggested, South Dakota’s naturalized male immigrants were taking advantage of naturalization and its benefits without giving back. She alleged that foreign-born men—mainly Germans—were filing papers to become citizens, and thus gain the vote, at a remarkable rate. 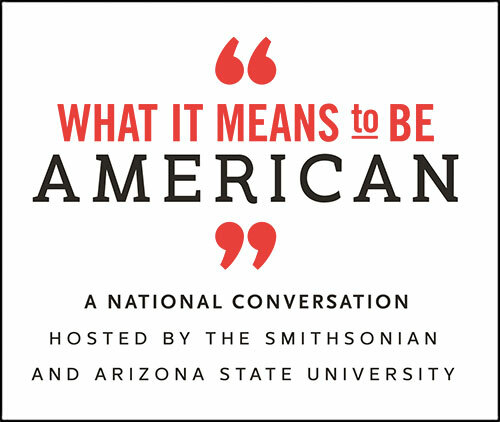 This may not have been true: the National Archives reports that 25 percent of all the foreign-born individuals listed in the census from 1890 to 1930 had not become naturalized or even filed their first papers. But the system was certainly haphazard and disorganized, and for generations had allowed noncitizen immigrants to assert voting rights with great ease. In 1914, a number of Midwestern states, including South Dakota, North Dakota, Minnesota, Wisconsin, Michigan, Indiana, Illinois, and Ohio, had allowed or still allowed male foreigners to vote before becoming citizens. Nativist fear built into outright hysteria, and Midwestern suffragists began recasting decades of foreign resistance to assimilation as treason. They argued that to protect democracy, only those citizens who understood civic responsibility should vote. Shaw’s shocking story struck a nerve with her audience; one observer remarked that she left a “favorable impression” because she presented “undeniable truths.” When Shaw commented that foreigners “all over the country today on account of the war in Europe” were “very anxious to take out their first papers of citizenship,” she pandered to growing fears that Germans had plotted to take advantage of the chaotic naturalization process as a means of undermining their adopted nation. Shaw’s speech to the Congregational Church in the fall of 1914 reflected how powerful nativism was becoming as a political force in the Midwest. She surely hoped her remarks about citizenship, including her not-so-veiled nativist anecdote, would convince voters to support woman suffrage. But her speech also rang an ominous tone that resonated well beyond the 1914 campaign. Despite Shaw’s efforts, voters in South Dakota defeated the 1914 amendment by about 12,000 votes. Newspaper reports indicated that voters still believed either that suffragists only wanted the ballot to enact temperance legislation or that woman suffrage was far too radical. Undeterred, state suffrage leaders secured another amendment bill in 1916, but defeat again dashed their hopes. Nativist ideas percolated, and by 1916, suffrage leaders across the Midwest were commonly targeting the right of immigrants to vote. In South Dakota and Iowa, state officials produced propaganda and issued post-election reports that accused Germans of seeking to commit electoral sabotage as part of elaborate terroristic plots. In one case, press directors in South Dakota created a map that indicated in black the counties in which residents had defeated the 1916 amendment. A note above the map read that “the ‘German’ counties are all black,” meaning that those counties that defeated suffrage in 1916 had majority German populations. The message was clear—Germans had masterminded the defeat of woman suffrage. Nativist fear built into outright hysteria, and Midwestern suffragists began recasting decades of foreign resistance to assimilation as treason. They argued that to protect democracy, only those citizens who understood civic responsibility should vote. By 1917, when the United States entered World War I, suffragists crystallized their message. In South Dakota, propaganda warned of the untrustworthy “alien enemy” while celebrating patriotic suffragists who sacrificed “so deeply for the world struggle.” Another message deemed the “women of America…too noble and too intelligent and too devoted to be slackers” like their German counterparts. That rhetorical maneuver finally gave woman suffrage the political leverage it needed to achieve victory. In November 1918, voters in South Dakota passed a woman suffrage amendment to the state’s constitution with an impressive 64 percent majority. Of the first 15 states to ratify the 19th Amendment, about half were in the Midwest— a startling shift for a region that had seemed permanently opposed to woman suffrage. While Shaw’s speech was meant for an audience living in an important historical moment and place, it also resonates today. Suffragists had no qualms about using nativism to open democracy to women. They were willing to skewer immigrants in their decades-long quest for political equality. Shaw’s remarks also remind us how many assumptions Americans have made—in 1914 and today—about the rights and responsibilities that accompany citizenship. Sara Egge is an assistant professor of history at Centre College. She is the author of Woman Suffrage and Citizenship in the Midwest, 1870-1920.